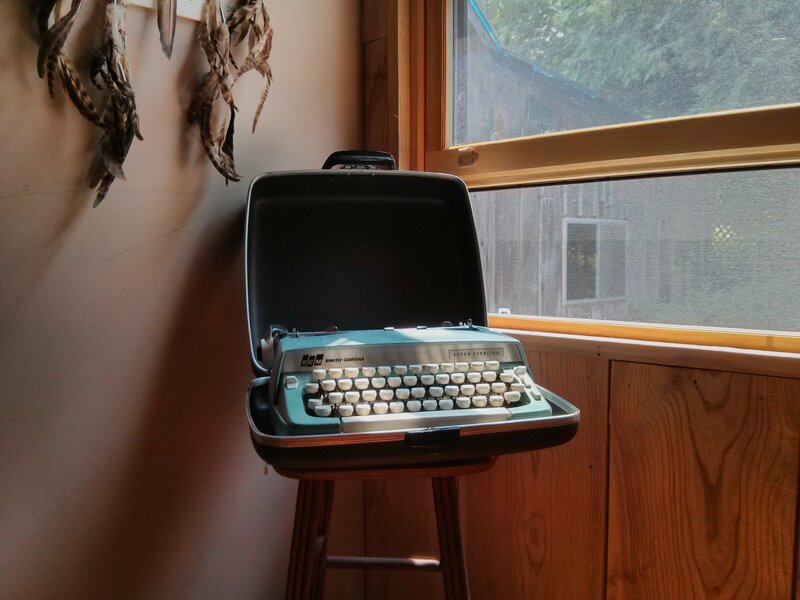 Not just any old typewriter. It’s in impeccable shape. And no, I haven’t touched it yet. It still hasn’t sunk in. I’m still hovering about. I look around me and there’s his typewriter, there are his books and records, there’s the A that he and Milton Acorn banged together, arguing all the way. I know this from a poem. The names on the road signs around here come from poems. The lake from poems. This is how I know this place, even though it’s all new to me. The neighbours say the words “Roblin Lake” as if they didn’t originate from a poem, and I try to think of these words as everyday, two-bit words, try to keep the expression on my face from changing. This is their home, but it’s also this icon. And it is of course just a name, like any other name. A broadside of “Say the Names” hangs on a pillar in the kitchen. I read it once a day. Actually, scratch my original statement: today, exactly seven days in, is the first day I feel myself getting comfortable, sinking in a bit (rather than everything sinking into me). I’ve been feeling like a timid guest in someone else’s home, like a mouse in a giant’s home, but it rained last night and I made sure the open windows weren’t soaking anything and I think crossed a threshold. The slope. The walls creak when you walk the floor. Here are a couple of his poems. Don’t even get me started on the books that are here, and the records. More anon.